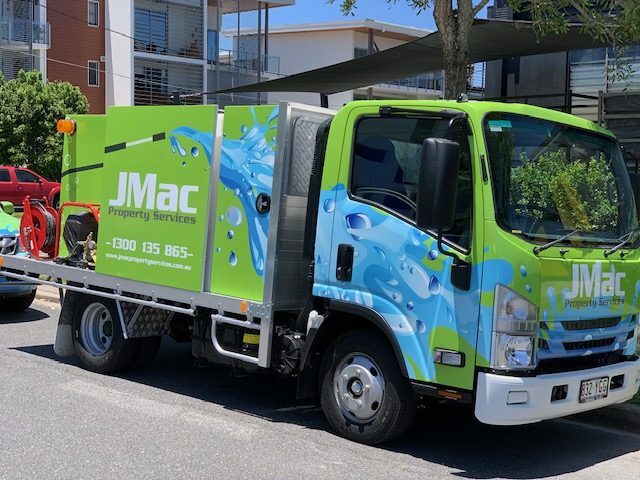 JMac Property Services takes pride in providing professional bin cleaning and high pressure cleaning throughout Brisbane, Greater Brisbane, and other South East Queensland areas. Over the years, they have put a lot of effort in experimenting and trial and error to get their services just right. Through patience and hard work, they have now mastered the art of bin and pressure cleaning. The JMac Team strives hard to maintain the company’s good reputation, customer retention, strong customer relations, and success. Their friendly team members will always greet you with a genuine smile and even a funny quip to brighten up your day. JMac Property Services work with residential clients, as well as commercial and industrial business. They have the man-power and specialised equipment and facilities needed to provide top-notch bin cleaning and high-pressure cleaning services. They also comply with the environmental, workplace health and safety procedures (and associated legislation) of each of the businesses they work with. Yes, that’s a lot of paperwork! But JMac’s role isn’t just bin cleaning and high-pressure cleaning – it’s also about making life just that little bit easier for their clients by following protocols. JMac provides professional Wheelie Bin and Industrial Bin Cleaning for residential, domestic, industrial or commercial establishments. Taking the word “hygiene” to the next level, your bin will be cleaned with an environmentally-friendly, powerful germicidal deodorizer to get rid of any offensive bin smells, and then washed and sanitised thoroughly until it is clean and spotless. Workplace sanitation is important in order to keep the environment healthy and safe. JMac Property Services provides high pressure cleaning on walk ways, garden paths, driveways, loading docks, verandas, walls, stairwells, and even bathroom facilities. The team carries their own hot water to get the job done, so you don’t have to worry about your own water being used. Elle is currently assisting the JMac Team with setting up a whole new CRM and billing system to make day-to-day processes easier, more efficient and manageable. She’ll help to run the system and assist in the bookkeeping, freeing up other admin members to concentrate on other aspects to further grow the company.